Whether you’re a kid or an adult, you can't beat a hot chocolate. There isn’t a better time to have one than when it’s a cold evening, and you’re all curled up on the sofa watching a film. I want one just thinking about it! If you love hot chocolate as much as me, read on my friends, and you’ll have great hot chocolate in no time. The chocolate powder we use is ‘Gran Cru Sambirano’ Drinking Chocolate, using cacao produced in Madagascar. 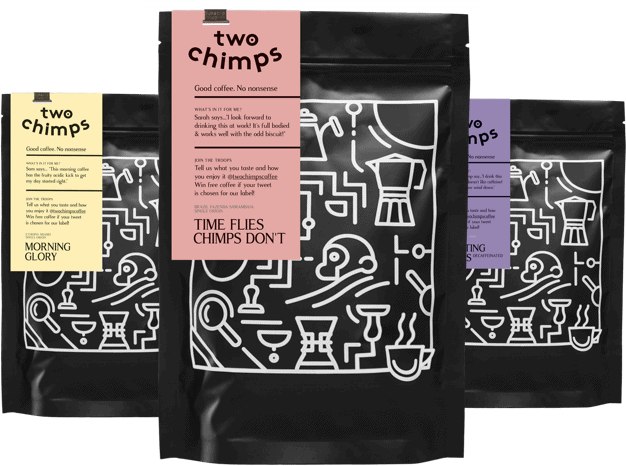 It’s a naturally fruity, single origin fine cacao powder, freshly pressed from rare cacao. It is then dried in an organic rainforest plantation of Sambirano in the north of Madagascar. 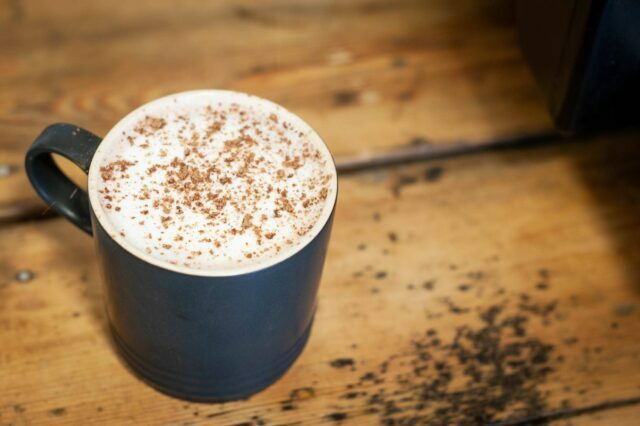 Our hot chocolate is made using 53% chocolate, golden caster sugar and a pinch of sea salt, and that’s it! Here at Two Chimps Coffee, we love local. That’s why we have asked a local chocolatier to produce our hot chocolate for us. 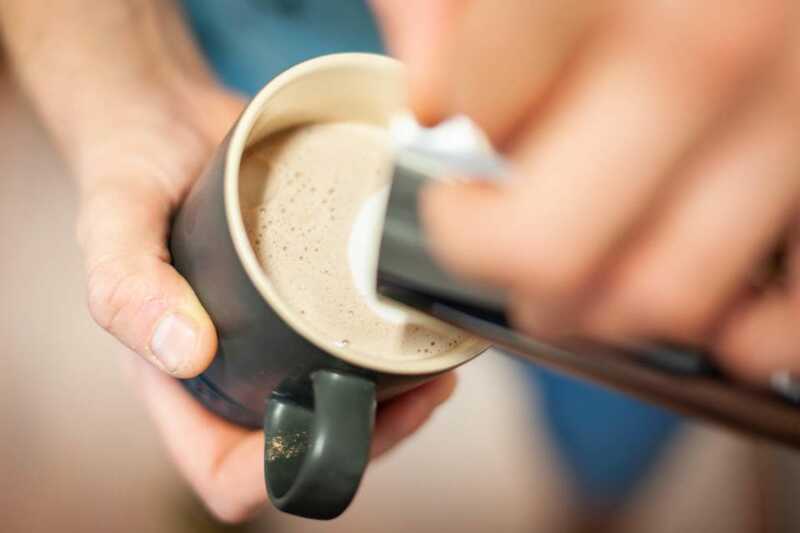 Here is our guide to making hot chocolate using an espresso machine. Firstly, add one scoop, (two heaped tablespoons) of chocolate powder to your mug. This should be approximately 18g per 250ml of milk. Next, add a tiny amount of recently boiled water to your chocolate powder, stirring as you do so. Stop adding when you get a consistency similar to a paste. 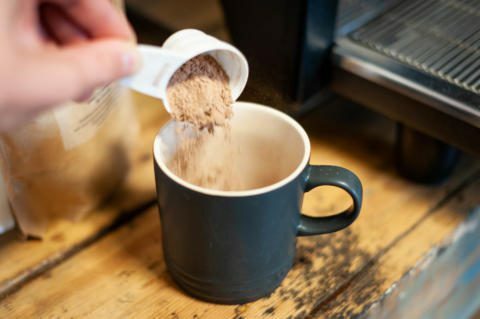 This way, you won’t get lumps of ‘un-dissolved’ chocolate powder in the bottom of your mug. After this, heat some milk similarly using your steam wand as you would to steam milk for a cappuccino. Then pour 2/3 of it into your mug, stirring as you do so. This will allow the milk to mix in with the chocolate paste. 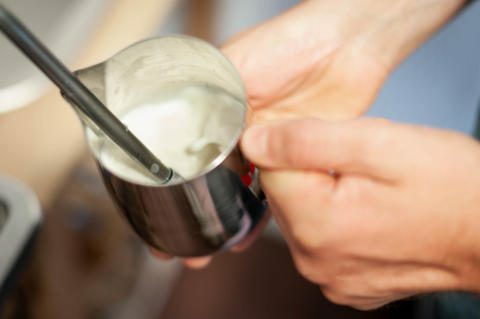 Then, add the rest of the milk on top. If you’re feeling fancy, try some latte art with the milk. Let us know how you get on here. Finally, sprinkle some chocolate powder on top. 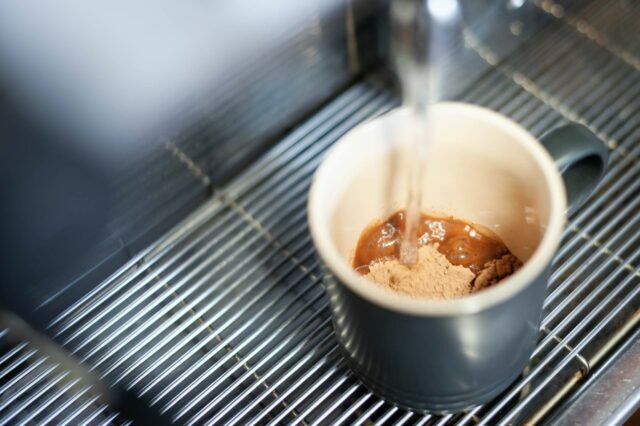 If you wanted to transform your hot chocolate to a Moka, instead of using water to make your paste, try using a double shot of espresso. So, there you have it; your hot chocolate is complete! Ideal for a cold day next to the fire. Want to try it for yourself but don’t have any chocolate powder? Visit our shop to get some.